Infiniti's new British-built premium hatchback revealed in production form and will go on sale at Desira in January 2016. 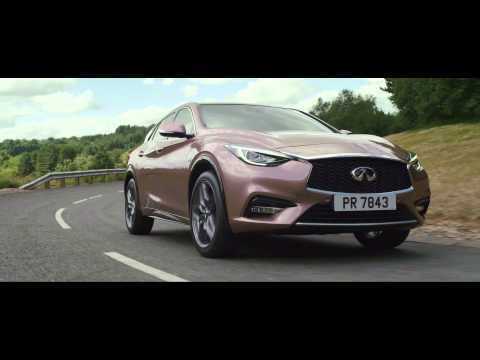 Offered in three trim levels, SE, Premium and Sport, the Q30 will be available in a few different engine options, including a 1.6-litre petrol with either 120hp or 154hp, a 107hp 1.5-litre diesel and a 2.2-litre diesel with 168hp. A more powerful 208hp 2.0-litre four-cylinder petrol will also be an option on the Sport and Premium versions. The interior gets a different layout and overall design to existing Infiniti models, with an infotainment screen forming the centerpiece of an impressive looking centre console. The Q30 will be the first to be built at Nissan's recently expanded Sunderland plant. Production will start in 2015, ready for first deliveries to be taken in January 2016. To be kept up to date with information on the Q30 as it comes in, please register your interest below.